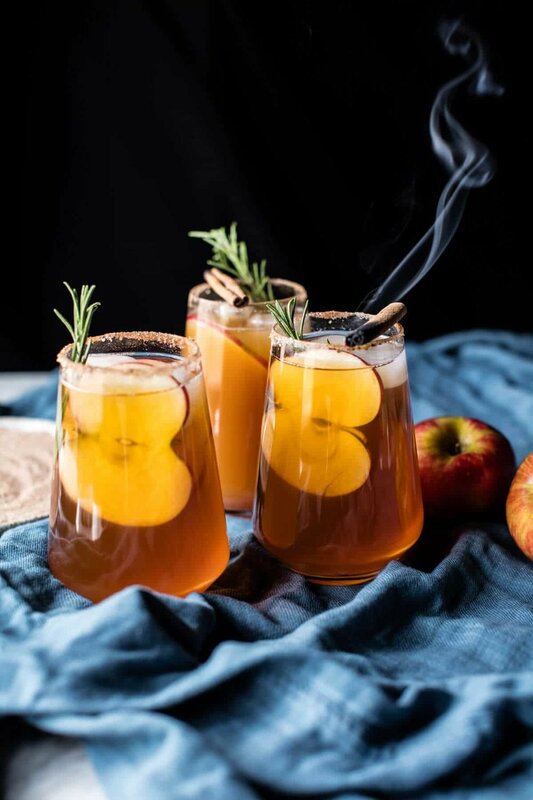 We can't think of a better way to enjoy cider. Amy and I will be drinking these killer margaritas throughout the cold weather season. We’re pretty sure they ward off colds too. Cheers! Get Tieghan's recipe at Half Baked Harvest! a call for vavabode magic. inspiration: We love Circa Lighting's ad since it showcases their lighting fixture beautifully. At the same time it gives us the perfect empty canvas -- an opportunity to add a piece of artwork that gives this space a little extra "wow". The cream-colored paint throughout the room leaves our designers with so many options. Traditional molding, a simple wooden chair and a light fixture that glows in a satin finish -- Dreamy! We're thinking, big, bold flora will do the trick! A pop of magnified Azaleas make this traditional space a little more contemporary but the old-world illustration keeps with the traditional trim. Thinking outside the box. We went bold. Fuchsia, red, and pink create a statement that surely shakes up this neutral canvas. full on nature. The wooden chair was the inspiration for this rendering. an all around earthy feel with rich greenery. No watering necessary. If John James Audubon only knew the longevity of his illustrations. Wings of the World takes the cake in this large mural. Whether you live in Florida or the Alps, it’s a show stopper. A trend we love too, Lonny, and we’ll keep on loving it. 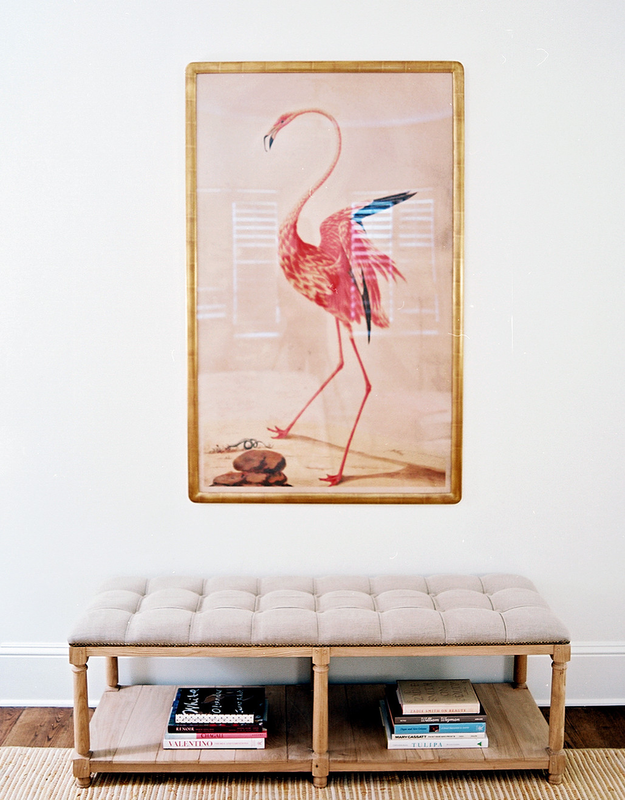 Blush and rich pink with a pop of gold … it’s almost too dreamy. Old world illustrations brought into a contemporary setting, we’re sold. 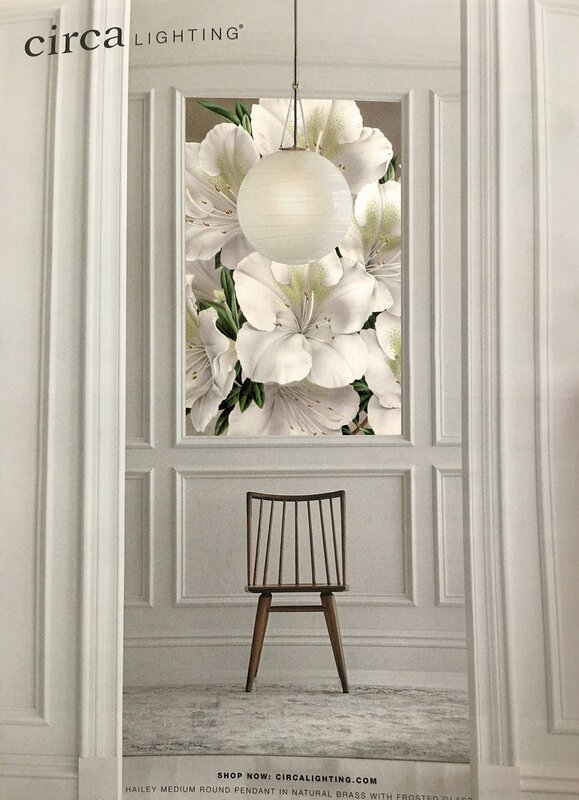 de Gournay makes the most envious wallpaper in the world. 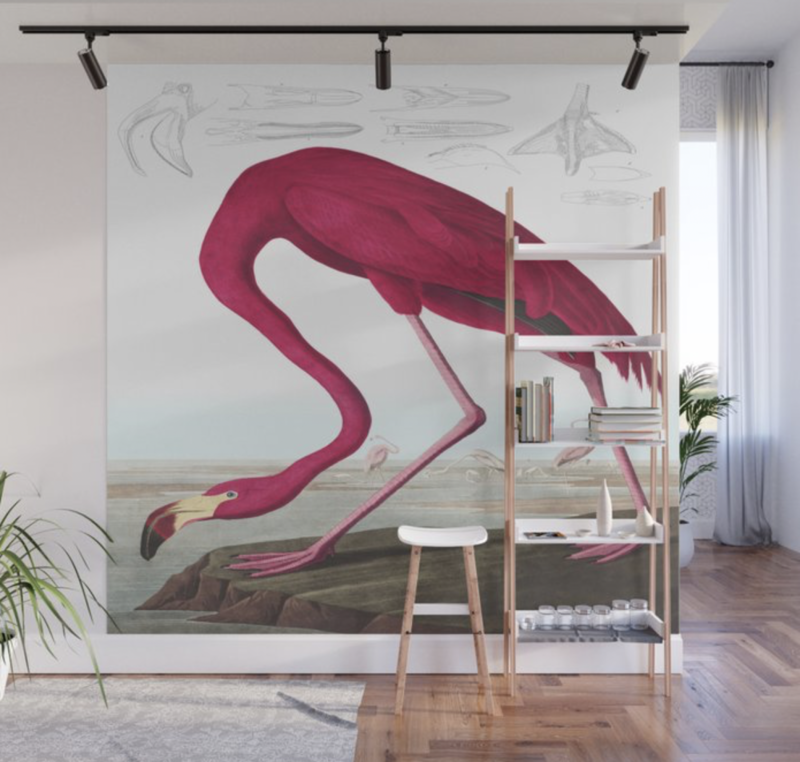 We can see an entryway adorned with this flamingo wallpaper — your guests will never want to leave.